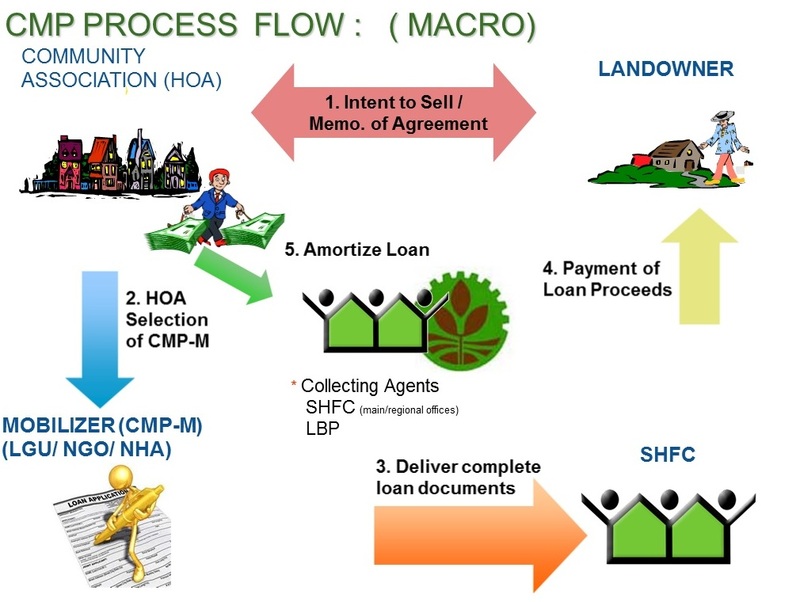 is a mortgage financing program which assists legally organized associations of underprivileged and homeless citizens to purchase and develop a tract of land under the concept of community ownership (RA 7279). The primary objective of the program is to assist residents of blighted or depressed areas to own the lots they occupy, or where they choose to relocate to, and eventually improve their neighborhood and homes to the extend of their affordability. -Enters into a negotiation process with the landowner. -Keeps individual records of paid and unpaid amortization of its member- borrowers together with the records of paid and unpaid amortization of the CA. -Finds qualified substitute member-borrower/s (in case of default in the payment of monthly amortization-shares of any member-borrower/s), who shall assume the obligations of the defaulting member-borrower/s. -Causes the individual titling of the property in the name of the member- borrowers. -Execute legal actions against defaulting members. -Executes a contract to sell his/her property to the CA thru the CMP. -Provides Road Right of Way (RROW) or an access road lot with the assistance of LGU, CA, CMP-M.
-Evaluates the CMP-M, the project and the CA based on complete documentary requirements submitted. -Conducts background investigation (BI) of the CMP-M (new) and the CA. -Prepares recommendation for project enrollment and program participation of new originators to the CMP Credit Committee. 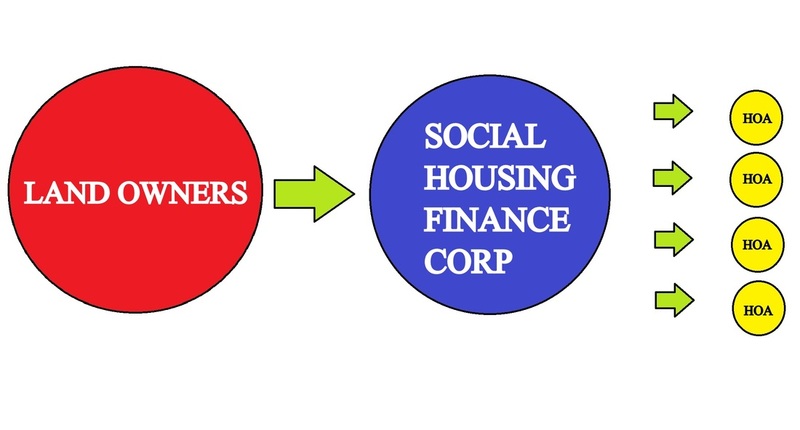 -Finances the Lot Acquisition, Site Development and Housing Assistance Loan of the CA.